During the 4 preliminary rounds of our photo competition in 2018, we received a total of 12 entries. 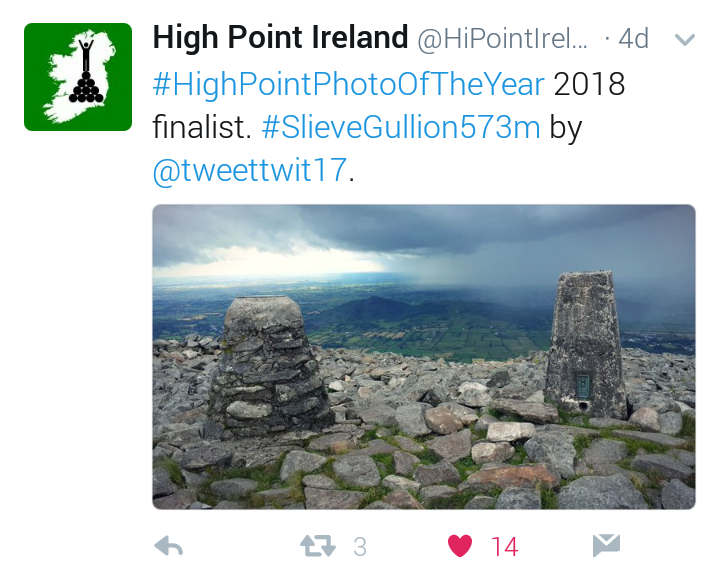 The winners in each of those 4 rounds became the finalists in our first-ever High Point Photo of the Year award competition. During the five days of voting on Twitter, the 4 finalists received a combined total of 248 likes. 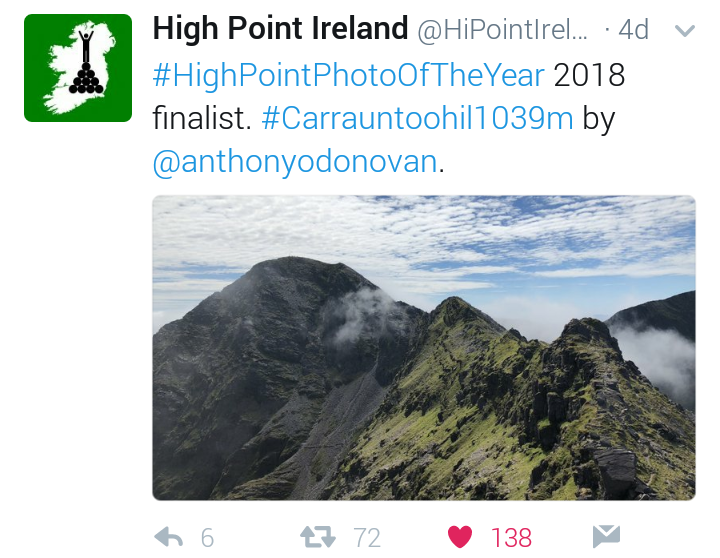 Of these, 138 were received by the winning photo of #Carrauntoohill1039m submitted by Anthony O’Donovan (@anthonyodonovan). Congratulations Anthony! 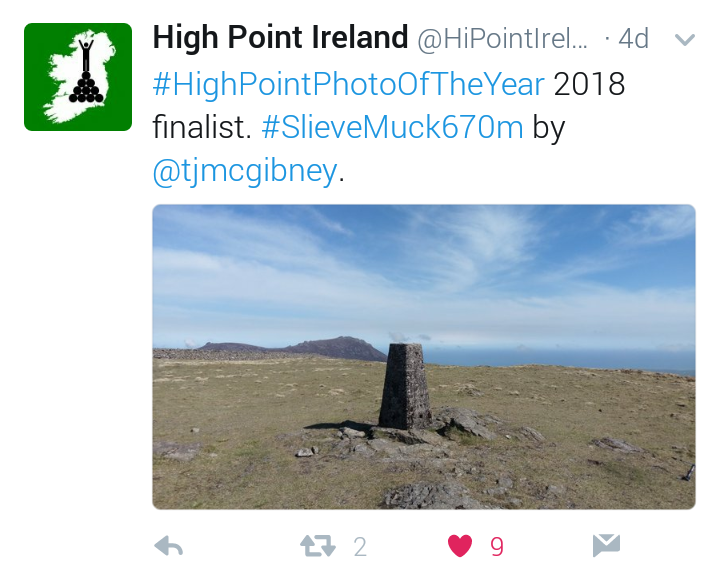 We are delighted to announce that your photo has been voted the overall winner in our High Point Photo of the Year 2018 awards competition. We hope you will come back to defend your title in 2019. Congratulations to Anthony, Gillian, Mark and Tommy on winning each of their earlier preliminary rounds to reach the final of this year’s competition. Thanks also to all the other entrants who took part. 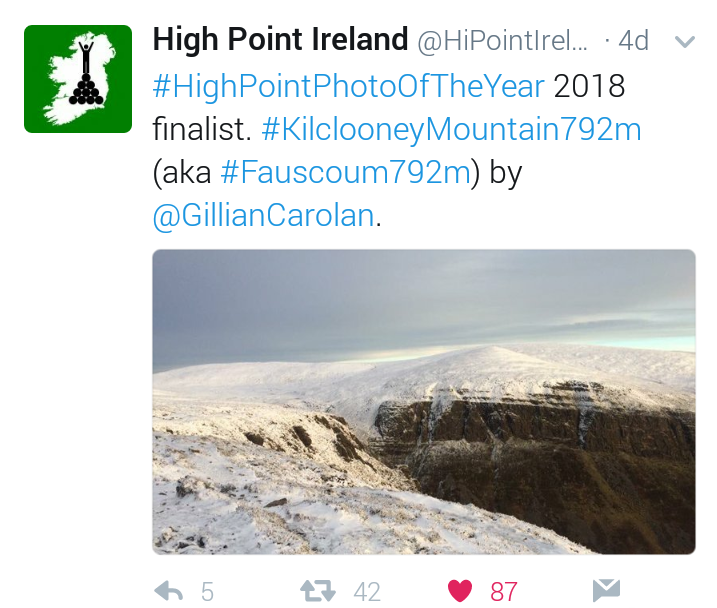 We have seen some stunning photos from all over Ireland. Thanks also to everyone who voted for their favourite in the final and in the earlier rounds. If you would like to take part in the first round of our 2019 competitions, entry submissions will be accepted on 20th February 2019.